Comcast is mindful of the possible threat that 5G might pose to its broadband business, but it appears to be a paper tiger at this point, a top company exec said Tuesday. 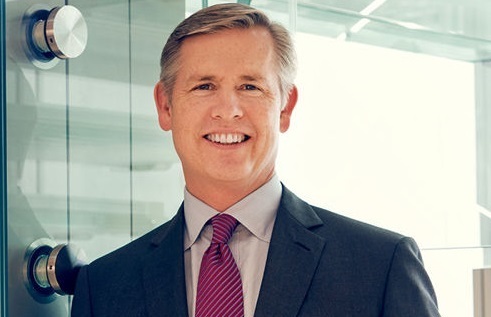 "We're staying tuned … We're definitely not head in the sand" with respect to that threat, Comcast Corp. (Nasdaq: CMCSA, CMCSK) SVP and CFO Michael Cavanagh said at the UBS 46th Annual Global Media and Communications Conference. "[But] the threat of 5G to our broadband business is not significant any time soon." Cavanagh said Comcast's game plan with its HFC networks -- with DOCSIS 3.1 today and Full Duplex DOCSIS down the road -- allows the operator to raise speeds and capacity economically, and on a national basis. Though carriers are using different swaths of spectrum and approaches to home broadband with 5G, "it's really hard to see how there's a path to any one of those [options] being a broadly addressable solution for residential in the United States, other than in certain use cases." That said, Comcast itself might also look to deploy 5G technologies in such circumstances, he added. Also, don't expect Comcast to make any big moves in the coming spectrum auctions. With respect to mobile and wireless, Comcast seems to be content at the moment with the little bit of spectrum it has, the capabilities offered on its own network and its MVNO agreement with Verizon Wireless . Comcast has more than 1 million lines of Xfinity Mobile deployed so far, and the "base case" remains to get that business profitable on a standalone basis. "We think it works," Cavanagh said of the MVNO model, noting that Comcast does have control of elements such as pricing and packaging, branding and the broader customer experience. Turning to video, Comcast's pay-TV business continues to be under pressure, but the company is trying to be cautious in how it gains and retains those customers. Video remains important to Comcast, but "we're not going to chase unprofitable video subs," he said. "We're not going to chase subs for the sake of subs." X1, and the integration and aggregation of third-party OTT services, is still core to that plan. On the OTT front, Comcast has made no moves with respect to its 30% stake in Hulu LLC . AT&T Inc. (NYSE: T) has indicated interest in selling its 10% piece of Hulu (acquired from Time Warner), a decision that could expand Walt Disney Co. (NYSE: DIS)'s ownership of the streaming service. "No news for you here today," Cavanagh said when asked about Comcast's plans for its stake. "We have and want to continue to have a healthy relationship with Hulu," he added, noting that NBCUniversal LLC continues to licence content and programming to that OTT platform. Amazing how someone can stand in a boat headed for a cliff/waterfall and say "there is no problem here"